Lita del Cielo’s family has granted her one gap year in Paris, and has arranged a room for her in the House of Stars, an infamous hôtel particulier that plays host to a rotating cast of bourgeois young women from around the world. Lita is quiet and observant at first, drawing back from her bold and more worldly fellow tenants, content to soak up the broken-down glamour of the House of Stars and the life lessons of its aging lady-of-the-house, Countess Séraphine, who guards over its charges from the throne of her bedroom. 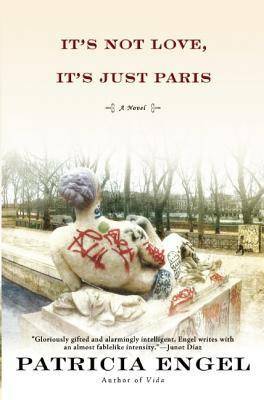 But let’s not forget that this is Paris, so of course Lita meets a complicated, charismatic boy who turns her world inside-out. Soon Lita and Cato are falling in love among the landmarks of Paris, flitting off for weekends at Cato’s countryside family estate, and shutting out the rest of the world while holed up in the House of Stars. The two carry on despite the fact that the writing is on the wall from the day they meet: Lita’s tenure in Paris has an expiration date, Cato is dogged by a debilitating disease, and their relationship is further complicated by culture, class, and ideological differences that they might never be able to overcome. But don’t you dare discount this novel as a saccharine love story and miss out on it as a result! Lita’s journey from the quiet and naive girl of the novel’s first few pages to the brave, assertive, and independent woman at its close is rousing and tragic, compelling and heartbreaking. Finally, the number one reason you need to read this novel is to experience Engel’s writing. 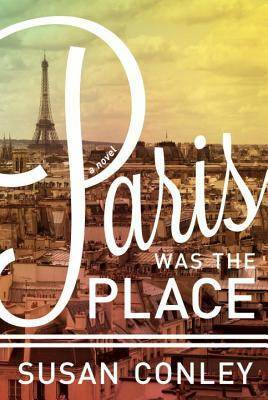 It’s Not Love, It’s Just Paris is wry, melancholy, enchanting, seductive, and downright delectable. I savored every single page. Verdict: BUY, and put Engel’s first novel, Vida, on your TBR list, too! Impressionable, unformed Kate arrives in Paris in 1989 with a degree from Yale, a near-perfect French accent, a talent for painting, and a job as an assistant to famous photographer Lydia Schell. Kate’s job also comes with room and board in the Schell family home, and it’s not long before she’s swept up in the dizzying swirl of art, narcissism, and deception that is the Schell family: eccentric patriarch Clarence; spoiled, oblivious daughter Portia; antisocial son Josh; and of course Lydia, the most conniving of them all. Kate spends her days archiving Lydia’s old photographs, picking up her diet pills, and walking her dog, but she’s also covering for Clarence’s mistress and delivering notes between a husband and wife that refuse to speak to one another. (Did I mention she’s also sleeping with Portia’s on-again, off-again boyfriend?) And that’s not even scratching the surface. 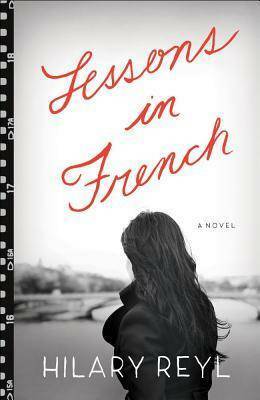 Lessons in French is a dark, juicy, and complex coming-of-age novel. The tension around Kate’s shifting loyalties and the growing suspense as she twists herself further and further into the Schell family drama will keep you turning the pages, and Kate’s so in over her head that you can’t help but root for her. It’s the 1980s again, and Willow “Willie” Peters, another young American woman in Paris, is teaching poetry at the Academy of France by day and mentoring a group of teenage immigrant girls living in a political asylum center by night. She’s also grieving the loss of her mother, working through a difficult relationship with her father, falling in love with an immigration attorney, watching her brother suffer from a mysterious and rapidly-evolving disease, and traveling to India to research a book on the poet Sarojini Naidu. It’s safe to say that Willie has a lot on her plate, and this novel had a lot to unpack as a result. Willie’s involvement with and investment in the girls at the center–particularly a passionate Indian girl named Gita who is running from a traumatic past–hooked me initially, and the girls’ personal histories were compelling and moving. But the novel’s overly ambitious plotting soon spun it off-course from that initial core storyline, leaving it unfocused, unwieldy, and disorienting as a result. Unfortunately, Paris Was the Place never quite found its way back, and in the end it just couldn’t keep its hold on me.